Last Friday, undergraduates received notice from the Concordia Student Union that a Special General Meeting will be called for March 26 at 2:00 p.m. on the Reggie’s Terrace, pending the approval of the space from the university. The second meeting was called after the CSU received a petition—organized by students Tram Bui, Eloise Landry and Gabrielle Provost—to hold another vote on continuing the strike mandate currently in effect. 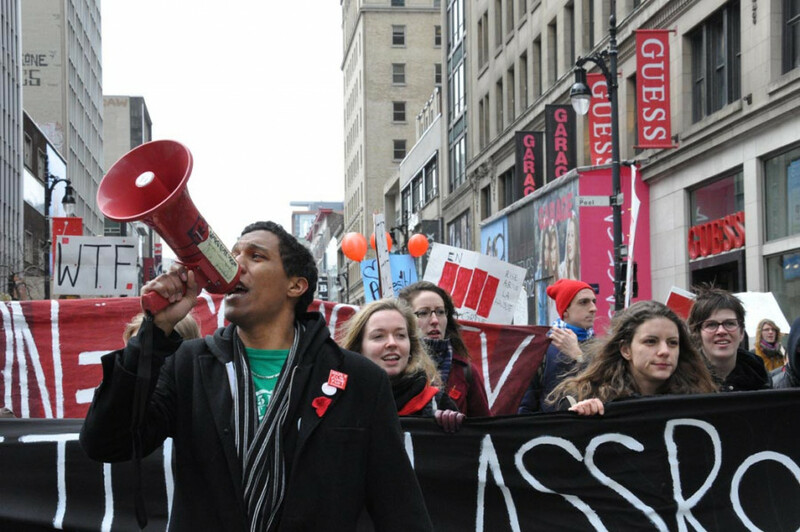 The agenda for the SGM also includes a call for students to vote on the Minimum Agreement—a series of clauses concerning student solidarity in Quebec. At last week’s CSU Council meeting, a vote on the MA was shot down for the second time in a matter of months after another round of extensive debate. Members of Council were essentially split on whether or not to adopt a position that includes a series of provisions that bar signatories from speaking out against the actions of other student groups, refuse to enter negotiations with the government unless all student groups are welcome to the table, and prevent the umbrella groups—which include the FEUQ and ASSE—from making decisions on behalf of its members. The sticking point for many Concordia Councillors was the non-denunciation clause specifically, where the national student associations agree not to condemn the actions taken by any of the organizations. Many on council argued that the CSU could not support any violent or illegal acts committed by others, should they occur. “Regardless of my opinion, students have the right to vote on it,” said CSU President Lex Gill of the MA making the agenda next week. Previously, students Cassie Smith, Anthony Garoufalis-Auger and CSU Councillor Irmak Bahar had begun circulating a similar petition, but retracted it after speaking with Gill about GA participation at various department and faculty levels. Landry and Bui—who’d received nearly 200 signatures on their petition within the first day and a half—agree. The minimum agreement and extending the strike is a decision they maintain needs to be taken up by all students. Landry and Bui hope that this time around, the GA will also be better executed, as it will take place in one location, but are unsure how many participants to expect. “It depends on the students and their motivation to keep being involved in this broader movement,” said Landry. For the CSU’s part, they claim to have learned from the first GA’s logistical mistakes, and have had meetings to solve some of the problems that led to student frustrations the first time around. “We’ve been brainstorming solutions to ensure this meeting runs more smoothly, and there’s this consensus that if it’s all going to happen in the same place […] that will hopefully allow people the ability [for more students] to speak,” said Gill.